To ensure compliance in all areas of our operation and to guarantee that we are focused on service delivery to meet our client’s requirements, we have affiliation with the following organisations. The Law Society’s Conveyancing Quality Scheme. The process of buying and selling a home is probably the largest transaction that most people undertake in their lives. By obtaining CQS accreditation Hedleys have demonstrated that their practice has the skill and expertise to provide quality residential conveyancing advice, which may help to reassure clients that they are able to provide all the information they need to understand the process, options, costs and timescales from the outset. Obtaining CQS accreditation also helps to provide access to the lender community, and demonstrates that Hedleys is able to provide residential conveyancing advice of the level expected by clients, lenders and the wider residential conveyancing community. Hedleys are proud to have achieved the standards of practice and integrity required to be accredited by the Law Society’s Conveyancing Quality Scheme. This scheme’s logo is a client’s guarantee that Hedley’s practice will provide you with a professional and quality conveyancing service in accordance with the scheme rules. 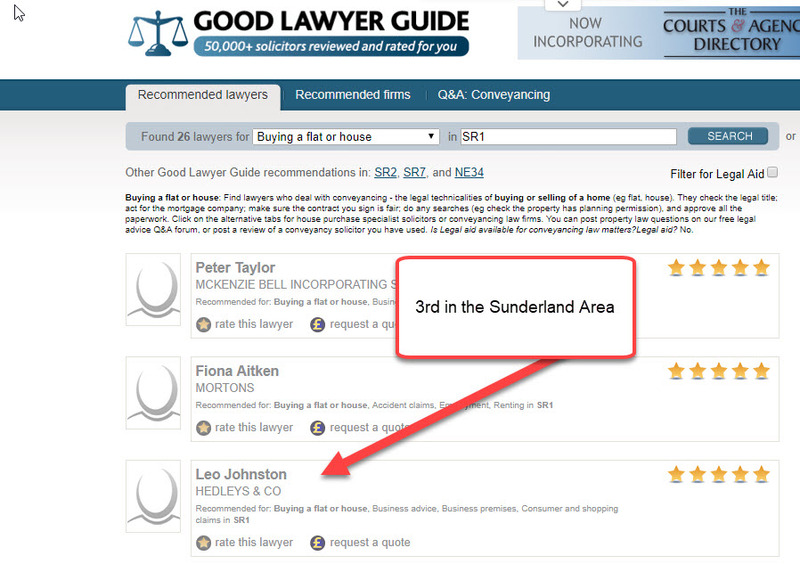 The site lists recommended solicitors in a given postcode area together with the star ratings that their clients award them. Hedleys have consistently achieved a five-star rating in their area.